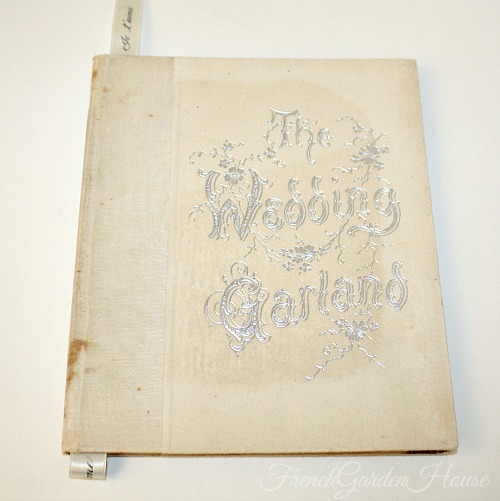 Romantic book dating to the Victorian era, entitled The Wedding Garland. Poems compiled by Louise Dunham Goldsberry, this was published in 1896 by Jennings & Graham. The collectible book has ornate decorated boards, Cream White moire cloth over the spine, and silver lettering on front. All the page edges are touched with silver, the 24 pages are unnumbered. There are 11 stunning full color chromolithographs and 11 sepia-toned illustrations. One spread has places to attach photos of bride and groom, they are empty, but there is some wear to the edges of these pages as shown. Pages are laid in, not attached to the book. 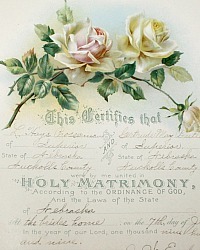 The beautiful Holy Matrimony Certificate was filled in with ink, celebrating the marriage of the original owners in Nebraska in 1909. There are some names entered in the autograph section as well. In good antique condition for a book that is over 100 years old. There is some aging to the paper, one of the pages has a shallow small tear on the bottom. 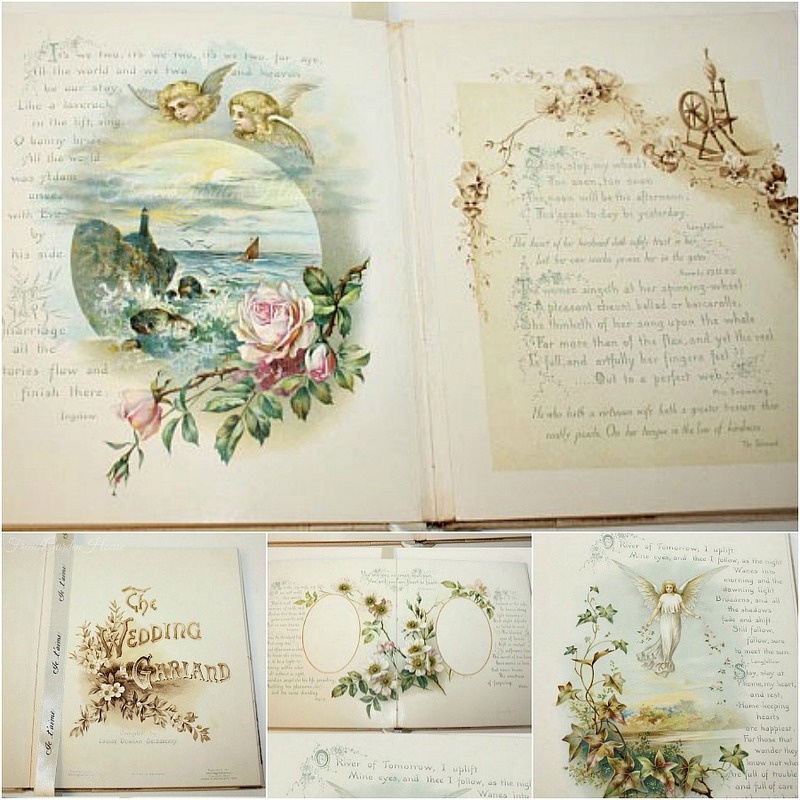 A gem for those of you who love romance, feminine illustrations of angels, roses, doves, forget me not, flowers and everything Victorian. A great addition to your collection of Victoriana, books or wedding memorabilia.